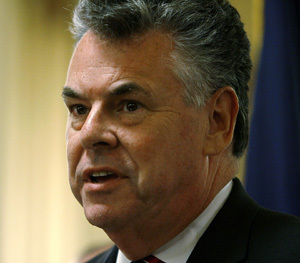 Peter King should be breezing toward victory. The seven-term congressman from Long Island's Third District nabbed one of the ripest of post-9/11 plums, an appointment as head of the Homeland Security Committee. But this year, anyone with an R next to his name is in danger of losing, and King has received a tough fight from Democrat David Mejias. The challenger is positioning King as a hawkish conservative with close ties to Bush  a Ponyboy to the president's Johnny. 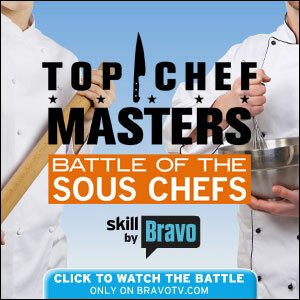 As you might expect, the closer the contest, the lower the blows. A debate last night devolved into King accusing Mejias of taking a donation from an area mosque with alleged terror ties. Mejias then accused King of fear-mongering while noting that King also received money from the mosque. Weird, right? It makes sense that an Al Qaeda–smooching Democrat might roll deep with the freedom-hating forces of evil, but a saber-rattling Republican? Turns out, King loves Baghdad. He gave this speech (lovingly uploaded by Think Progress) in February 2006 in Merrick, New York. Recalling a recent trip to Iraq, he describes Baghdad as a veritable Soho on the Euphrates: "You're talking about bumper-to-bumper traffic, you're talking about shopping centers, you're talking about restaurants, you're talking video stores, you're talking about guys selling roses on the street corner."